You may think of your companion animal as a person, but the law doesn’t. 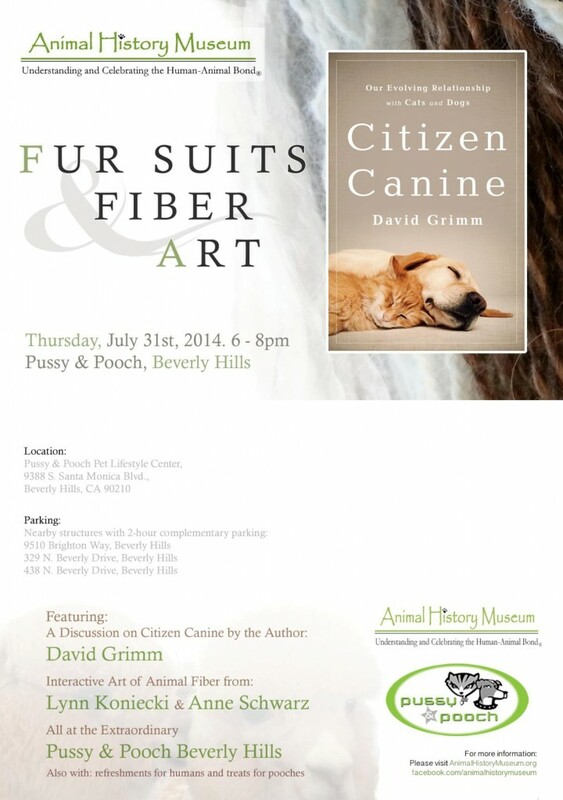 Meet David Grimm, author of bestseller “Citizen Canine: Our Evolving Relationship with Cats and Dogs.” He’ll be talking about his new book, and the growing efforts by some – and mounting resistance by others – to treat non-human animals as more than property. And in case you missed our pop-up during DTLA ArtWalk, artists and animal rescuers Lynn Koniecki and Anne Schwarz will be recreating their fabulous fiber art using alpaca fleece. So come see, feel and hear the “yarns” we’re spinning.